Save $60 on the Stihl MS 250 Chainsaw! Now Just $299.99. Was $359.99 BME-SRP. 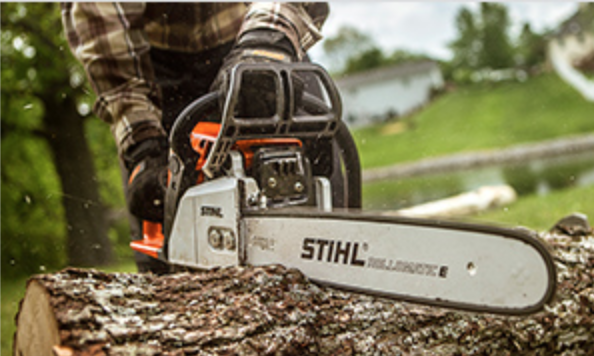 You can save $60 on the Stihl MS 250 Chainsaw at Foreman’s General Store. Hurry this offer won’t last long! When you rely on firewood to keep your home warm and cozy, you need a good chainsaw to build a solid woodpile. With an exceptional power-to-weight ratio, the STIHL MS 250 is up to the task. It is easy to operate and combines great features to take care of clearing jobs as well as cut through small limbs and trees. For many years, the MS 250 has been a model of efficiency and reliability, check it out at Foreman’s today! Note: STIHL recommends #3634 (26 RM3 68) OILOMATIC® saw chain and 18″ 3005 008 4717 STIHL ROLLOMATIC® Ematic™ guide bar combination. The actual listed guide bar length can vary from the effective cutting length based on which powerhead it is installed on. This entry was posted on Thursday, September 6th, 2018 at 1:31 pm	and is filed under News & Updates, Specials. You can follow any responses to this entry through the RSS 2.0 feed. Both comments and pings are currently closed.